Indian textiles were a principal commodity in the trade of the pre-industrial age and were prized for their fineness in weave, brilliance in colour, rich variety in designs and a dyeing technology which achieved a fastness of colour unrivalled in the world. 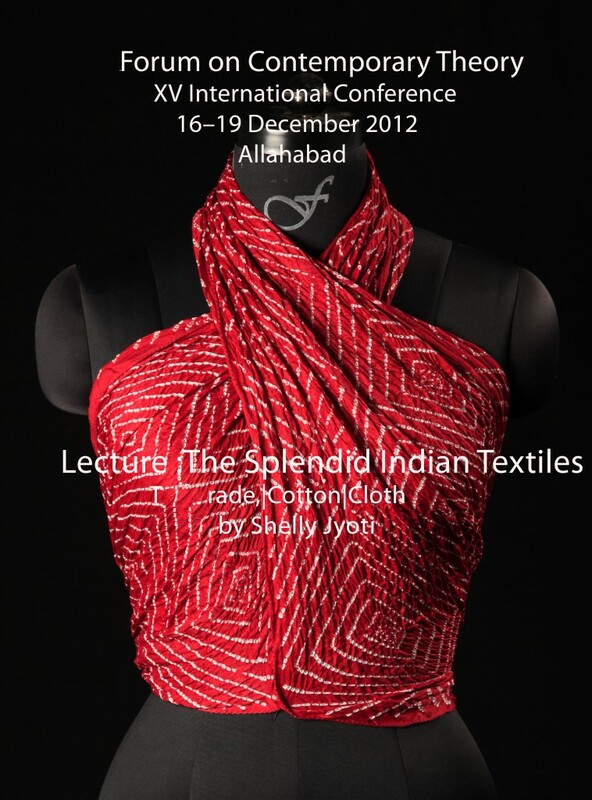 Indian cottons had achieved global reach by trade dominating world’s textile market during the sixteenth century. As a curator of this, I had proposed to categorise the Indian textiles in three categories of painted printed, woven-non-woven,embroidery and embellishments . Further investigated the global influences on new materials, machine spun yarn for handloom cotton and synthetic dyes for vegetable and mineral dyes .The role of Indian government after independence as how Indian textiles sustained with new techniques, technology introduction, research on documentation and yet conserving the traditions.